Metallica promised fans a new song in 2014, and this morning we have our first taste of the iconic hard rock band’s latest musical offering. 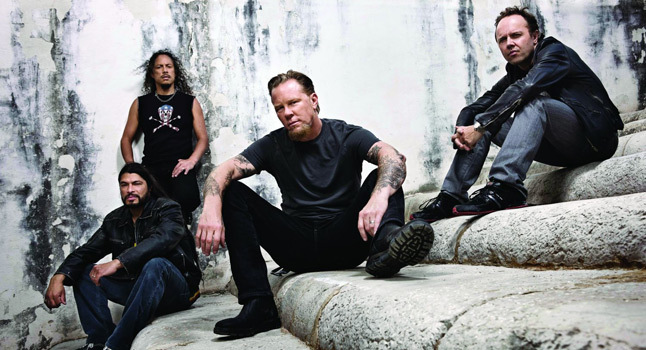 Recently, Metallica were performing in Bogata, Columbia when they decided to share a new song rumored to be titled “The Lords Of Summer.” Fans quickly reached for their cell phones to capture the first-ever performance, and in the days since the show ended a slew of clips with varying sound quality have made their way online. We chose two to share with you, and they can be streamed at the end of this post. The first, which features no video, offers the best sound quality (in my opinion). We have no idea when the studio cut of “The Lords Of Summer” will make its way to fans, but we will let you know the moment more information becomes available. There is a lot of promise in the clips below, and for the first time in a while we are excited for the final version. The last few Metallica releases have left us a bit burned out on the metal titans, but after revisiting their catalog via Through The Never we’re ready to give them one more chance. What about you? Comment below and let us know your thoughts on Metallica’s latest.